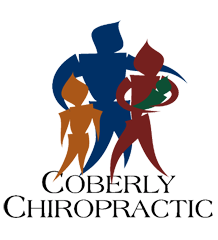 Maternity Care and Chiropractic – Coberly Chiropractic, Inc.
Chiropractic care should be a significant part of every woman’s pregnancy. The pregnant woman produces a hormone called relaxin, which causes her ligaments to loosen to help her baby pass through the pelvic basin during birth. But these loose ligaments make it hard for her to hold spinal and pelvic alignment. When you add changes in how she sleeps and walks, a woman is very capable of becoming subluxated. Keeping everything lined up is critical. Chiropractors also instruct patients on nutrition and exercise as well as educating patients on the dangers of many routine medical procedures.